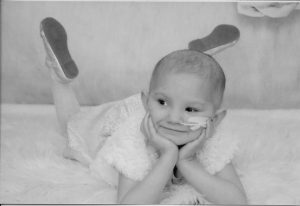 Hope is 5 years old and on the 14th April 2014, she was diagnosed with stage 4S Neuroblastoma which attacked a huge amount of her body. She has had hundreds of treatments. At present Hope is Cancer free which is great news, but there is an 80% chance Hope may relapse which means there are limited options available on the NHS. We are fundraising so that if the time comes, Hope may be able to access a vaccine trial in the USA which is showing promising signs for Neuroblastoma children. Any donations are greatly appreciated. Thank you all is much for your efforts to help me get better. If for whatever reason Hope no longer needs the money, it will be used to help other children fundraising via The Bradley Lowery Foundation. All cash donations are held by BLF in restricted funds for Hope’s campaign. BLF will hold funds on behalf of Hope and pay invoices directly.